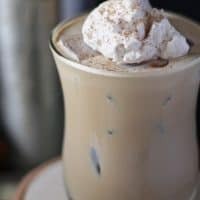 This coffee tequila cream cocktail includes coffee flavored tequila, Irish cream and homemade cinnamon whipped cream! Everyone else is posting healthy food right now. Salads and smoothies and all the recipes that fit in line with your new year’s resolutions. And you come to Honey and Birch on January 4th and I’ve got a decadent cocktail for you. I have recipes that are healthier in the works, but obviously I’m still celebrating the new year, instead planning for it. I have been looking at a bottle of Patron XO Cafe the past few months. In case you are wondering, Patron XO Cafe is coffee flavored tequila. My bottle has been sitting on my home bar, looking all seductive. So I’ve been watching it and trying to come up with a cocktail idea. I have to get rid of it, because it’s dangerous. It’s the only non-bourbon/scotch/whiskey alcohol that I can drink in a glass on its own. Over ice, or chilled, its one of the most delicious drinks and I don’t know how I have resisted this long. Try it, I’m sure you will like it too. The ex-bartender in me would maybe give you a little sample so you’d buy a full drink. If you come to my house, I will gladly give you a drink “on the house.” Either way, you will want to run out and buy a bottle of your own. Which is perfect – that means you can make this cocktail any time you want! I don’t know for sure, but I bet that by now there are a few different brands of tequila that are offering a coffee-flavored version. The only one I have tried is the Patron brand, so obviously it (Patron XO Cafe) is my favorite. There are also several brands of Irish cream, but the only one I’ve ever bought is Bailey’s. Buy what you know, I guess. 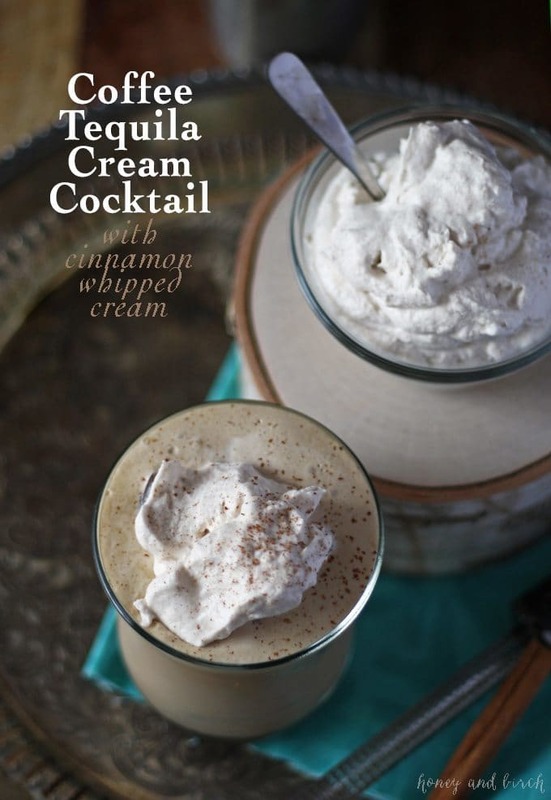 The piece de resistance of this yummy cocktail is the cinnamon whipped cream. 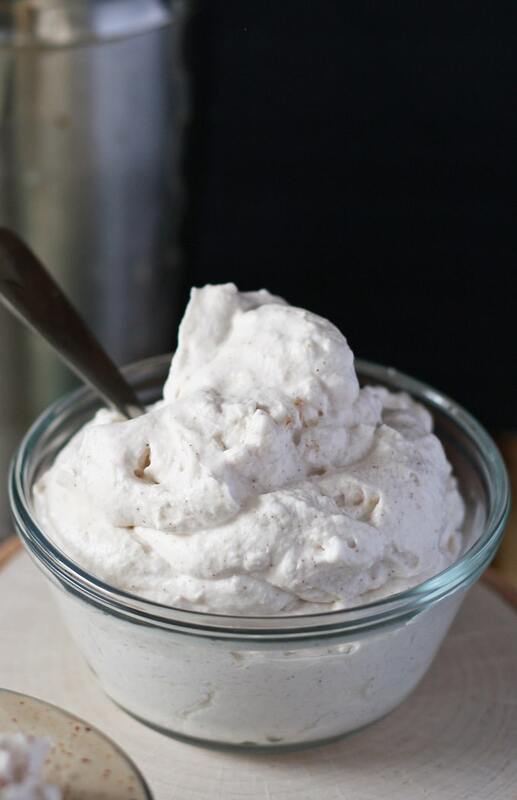 Making homemade whipped cream is super easy. If you have a stand mixer, throw the ingredients in the mixer bowl with the whisk attachment and get mixing. If you don’t, you can use a hand mixer or a whisk – if you use a whisk, just whisk hard. What did we do before electricity, right? 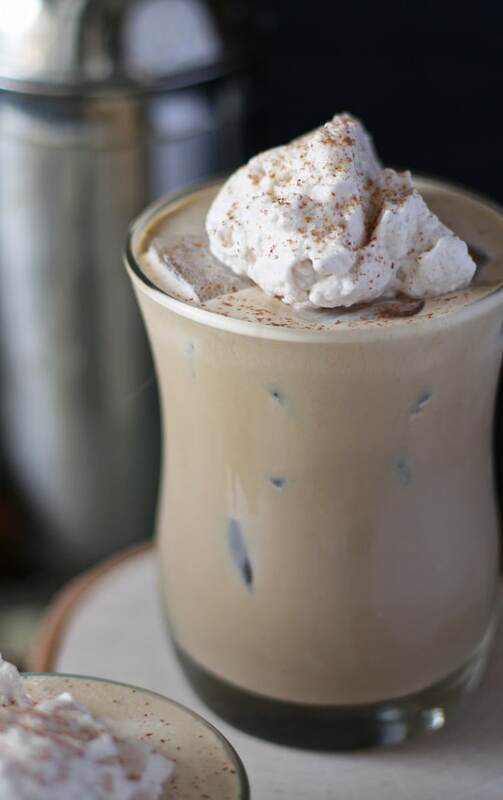 In a cocktail shaker, combine the Cafe Patron, Bailey's and cinnamon whipped cream with several ice cubes. Shake well. Fill 2 cocktail glasses with ice, then pour the chilled mixture over the ice. 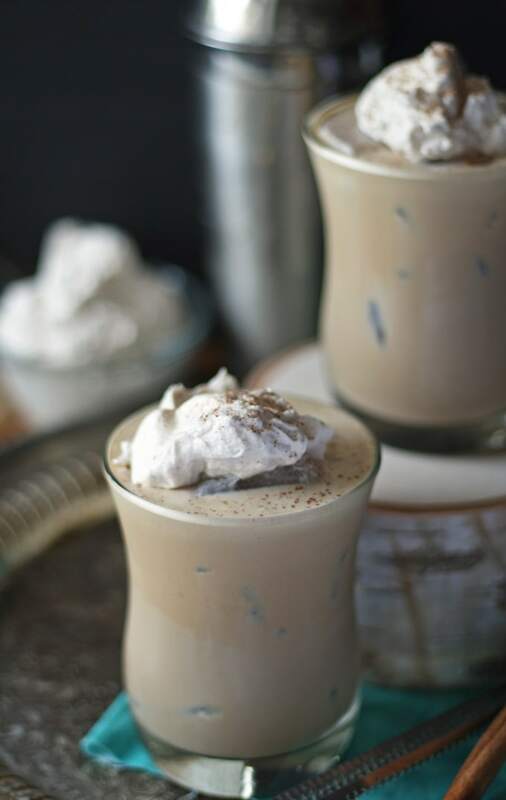 Top with more cinnamon whipped cream before serving. In the bowl of stand mixer, whip the heavy cream until peaks form. Add the vanilla extract, confectioners sugar and cinnamon and beat until the peaks return. Now that I’ve graced your Sunday news feed with an alcoholic drink, you can return to your more family friendly activities. Enjoy the rest of your weekend! this sounds insanely delicious. can’t wait to try!